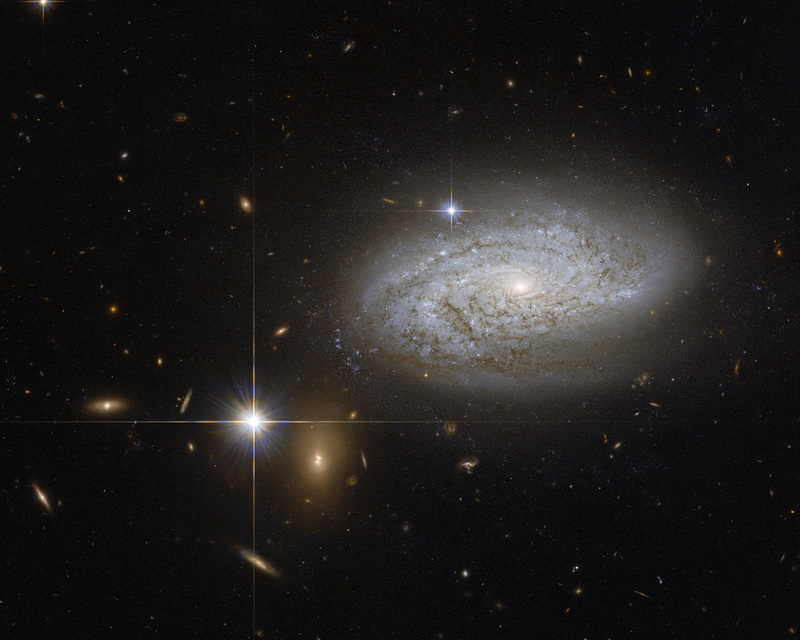 This NASA/ESA Hubble Space Telescope image shows the spiral galaxy NGC 3021 which lies about 100 million light-years away in the constellation of Leo Minor (The Little Lion). Among many other types of stars, this galaxy contains Cepheid variable stars, which can be used work out the distance to the galaxy. These stars pulsate at a rate that is closely related to their intrinsic brightness, so measurements of their rate of pulsation and their observed brightness give astronomers enough information to calculate the distance to the galaxy itself. Cepheids are also used to calibrate an even brighter distance marker, that can be used over greater distances: Type Ia supernovae. 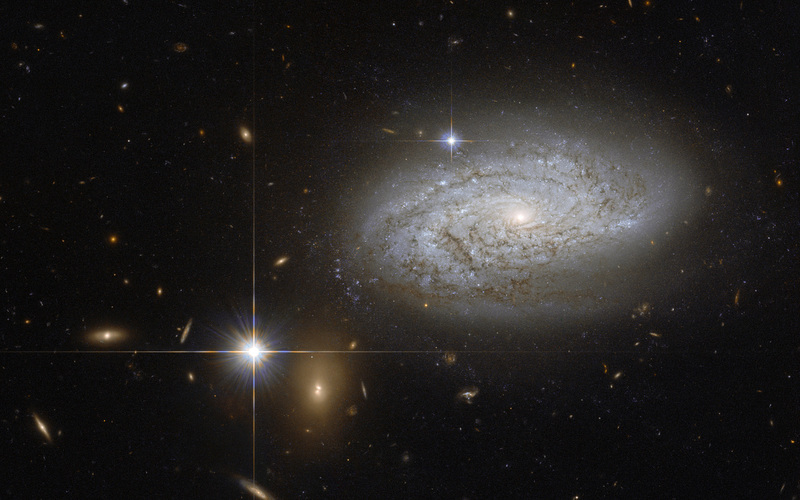 One of these bright exploding stars was observed in NGC 3021, back in 1995. In addition, the supernova in NGC 3021 was also used to refine the measurement of what is known as the Hubble constant. The value of this constant defines how fast the Universe is expanding and the more accurately we know it the more we can understand about the evolution of the Universe in the past as well as in the future. 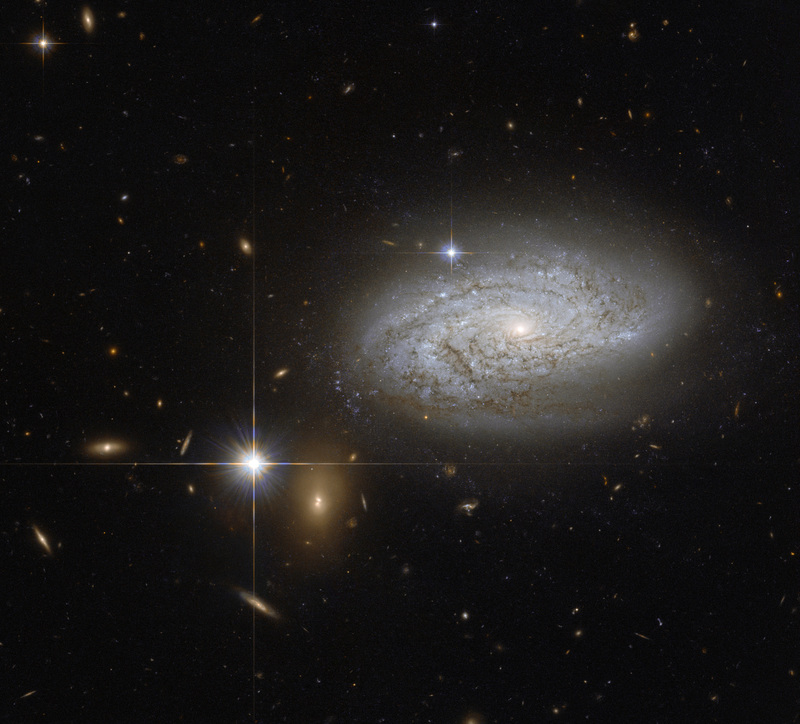 So, there is much more to this galaxy than just a pretty spiral. Position (Dec): 33° 33' 5.35"